Ever since we hosted the Pre-CMJ09 event, “Ask the Producers”, we have had numerous discussions internally on how artists budget for sessions and trying to see from the clients’ perspective the difficulties they face. In one of these conversations, Roy Hendrickson (who was one of the panelists for the CMJ event) told us about how he advises his clients to make up three different budgets - low, medium and high and write down the pros and cons of each option. This seemed like a very sensible suggestion. Roy is particularly sensitive to these types of decisions because he has to mix what has been recorded, often after poor choices have been exercised. If one thinks through all the choices and implications of choosing one over the other with both eyes open, at least there won’t be too big a surprise, i.e. budget overruns. Because of financial limitations, there are tradeoffs and it is important to understand what the consequences are. Assuming that you had plenty of rehearsals and the songs are fully fleshed out, the first big branch in the decision tree is how large the room should be and how many booths you need. The key decision is isolation. Do you want to play together or will you record one instrument at a time? If the former, can you get enough isolation between each member? If you can’t get enough, it will be very difficult to “fix” things later. If you use a one-instrument-at-a-time “overdub strategy”, you will obviously be spending more time recording. Time, in this case, adds up to more money even though you've opted for a lower room rate. Can your band members play well enough? Do you plan to do a lot of “fixing” later? Will you be using session players? Will they be “first call” musicians or someone further down the list? If you are playing together, does the studio have enough (of the right) microphones, mic stands, outboard gear...etc., all the items you need? Even if there is enough gear, do they work? Add up all the time in the studio. How do the figures compare? We haven’t even begun to discuss the sound of the room. Now, let’s look at post-tracking activities. Was the singing / playing in tune and in time? Does each track sound good and clean? You will begin to see the effects of the tradeoff you made in the room sound and quality of recording at this point. Will the tracks require a lot of “fixing”? Who will do it? Unfortunately, much of the “fix” time is hidden in the mixing process, especially if the mixer wants the end result to sound halfway decent and is not willing to deliver a sub par mix. Many artists do not realize how quickly the mix can happen if you have well recorded tracks. Now add up all the time. I hope you are not under a deadline. When money is tight, usually time and someone else’s effort substitutes for actual out of pocket expenses. Maybe the end result is good enough for your fans as a MP3 download. At the end of the day, it is all about efficiency in the studio and the ease in which mixing is done. There are hidden costs, whether it is quality or the amount of time spent. A chart comparing dollars, time, effort with pros and cons is a very useful tool to plan out your sessions and be aware up front of what the tradeoffs are. 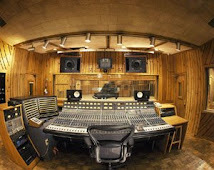 As I was researching recording studios, I found a site that had a pretty comprehensive history of recording studios in the Pacific Northwest. I thought I’d share the link with you. In less than a couple of years, the average number of tracks per song will reach 200 and it will take at least a week for a mixer to sort out all the tracks. If tuning / fixing is required, add an additional 3 - 5 days. This is all before the actual mixing takes place. Artists who are organized will be able to finish a mix in third of the time.